Paw Talk - Pet Forums > Other Pets > Hooved Animal Discussion > Pics of the goats! Goats are awesome! 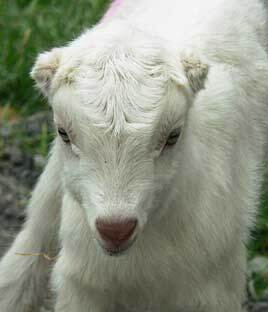 I used to have a nanny goat many years ago..Clairabel...she was gorgeous! Hannah is an alpine, aswell as ooh la la, and rachel has some alpine and newbian in her I think. Cute does. I used to raise American and French alpines for show and home. I raised goats for 7 years, did most of my own vet work. I sold them off because I knew I wouldn't have time for them while I was in college, though. I miss going out to milk my ladies every morning and night. And I miss the babies TERRIBLY. They are cute, our neighbor here has a whole bunch of goats and they are a lot of fun to play with.